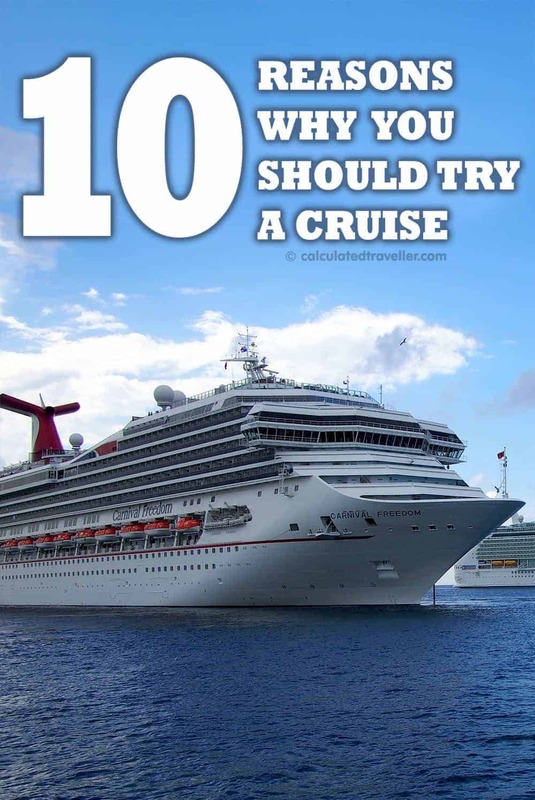 Here are my ten reasons why you should try a cruise. 1. You only have to unpack once. I find cruise holidays to be very easy and stress-free. It’s like a road trip but instead of you driving from place to place – it’s your hotel that’s moving. You will have the same cabin steward for the length of your trip, and they’ll remember if you like an extra blanket or pillow on only YOUR side of the bed. If you chose set dining, you would have the same waiter and assistant waiter for dinner every night, and they will remember if you prefer tea or coffee with your dessert or whether you like lemon with your water. 2. Each day is a NEW place and a NEW adventure. 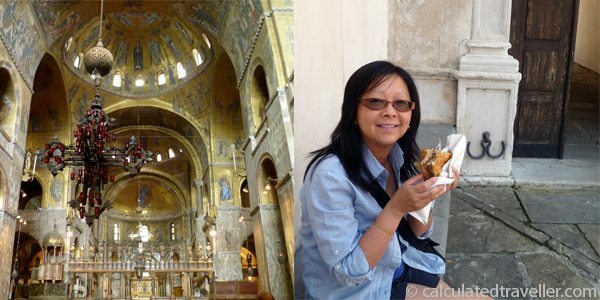 You could be in Venice, Italy visiting Saint Mark’s Basilica (photo on the left) on Monday and then be in Dubrovnik, Croatia eating Börek by the shore on Tuesday. The great thing about this is if you don’t like a city, island, or country for whatever reason – you aren’t stuck – because tomorrow you’ll be in an entirely different location. People often say to me that they aren’t given enough time to learn about a place, and I have to agree with them for some places. A cruise gives you an introduction… it helps you decide whether you need to go back another time to explore further and how much time you would need. Think of it as a scouting mission. 3. Clean, safe, high security environment. Cruise ships operate like airplanes. Each time you board the ship, you pass through a metal detector and your bags/belongings go through x-ray machines. You have a shipboard ID card that acts as your onboard “credit card”, and cabin key. The barcode on your ID gets scanned each time you come on and off the ship. So, the ship staff will know if you don’t return after being ashore. 4. Very accommodating for food allergies, specialty diets. A vegetarian option is always available. If you have a food allergy, you are given the menu the night before so that you can make any alterations to your chosen meal. They will then prepare your meal separately to prevent cross-contamination. 5. No need to go looking for food/restaurants. When I’m travelling on land, I find I’m always wondering if that restaurant is good? Is it expensive? Is it clean? On a cruise ship, you have options and top-notch, high-quality food. You can visit the grill for a burger, visit the pizzeria, eat at the buffet, eat in the dining room or dine at the speciality restaurant. 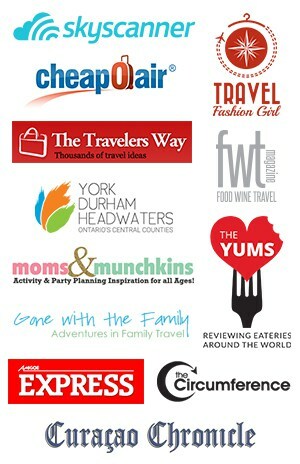 Most of these options are complimentary or cost a small fee. This photo is the main dining room on the Royal Caribbean Voyager of the Seas. Board Certified Doctor and other medical staff are on board every ship with monitoring equipment, diagnostic testing, and prescription medication in case of emergency. Sad to say I have had to visit the ship’s doctor a few times. Your bill for a visit gets added to your cruise ship tab. 7. Great for all ages, there’s something for everyone. Daycare and children’s programs are available as well as babysitting services. There are also teen programs including a teen disco, Video arcade, library, disco, ballroom dance classes, bridge/card games, internet and WiFi. It’s difficult sometimes to decide what to see. Hmm, comedian? Musical act? Illusionist? Movie Under the Stars? Broadway show? 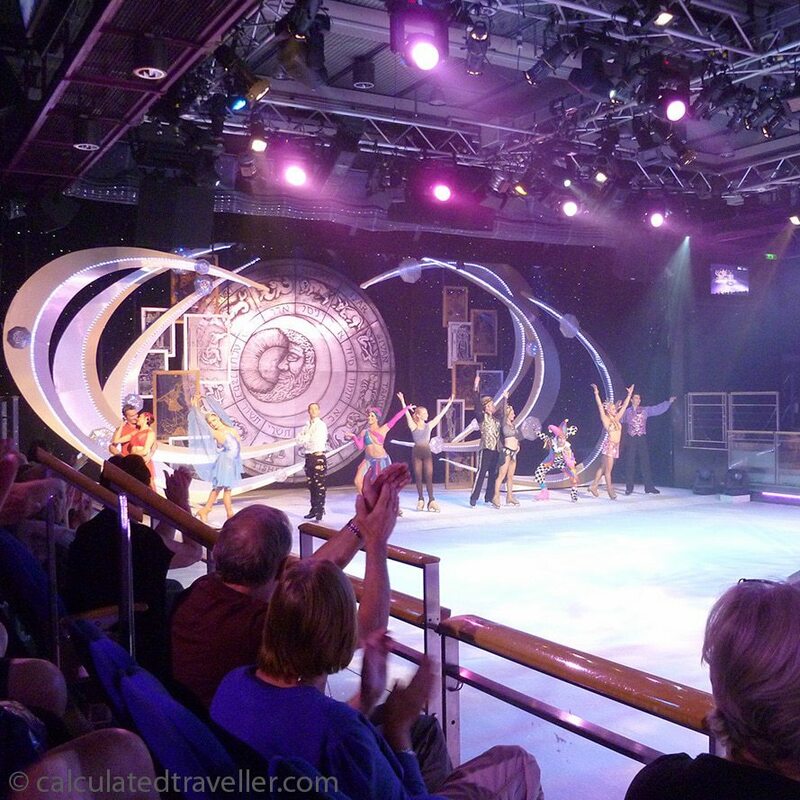 Ice Skating performance? Maybe you should skip it all and go to the casino or the jazz club or the country bar? 9. The Captain will try to avoid inclement weather. If the seas are rough, the ship will change course slightly to avoid the storm and make for calmer waters. Although, if the waves are too high and the ship can’t dock you will miss your port. (I missed out on a day in Florence, Italy due to rough seas). If it’s storming outside, the cruise director staff will put on extra indoor activities to help keep you occupied. True story, one day I was reading on the lower sun deck. The skies turned dark very quickly, and it started to rain. Suddenly, an announcement came over the speaker system for everyone to immediately clear off the top sun deck. I looked around to see what was going on and I could feel the ship turn. People started to scramble and shout and run down the stairs and as I looked up to see what all the commotion was all about, I saw a small funnel cloud coming down from the sky from the site that we were just at. Full gym facilities are available with treadmills, weights, etc. and classes such as spinning, yoga, health and wellness. After you are done working out, you can go to the sauna, get a massage, facial or manicure or even get your hair done. Perhaps our article with 19 Reasons Why you Shouldn’t Cruise (but we hope you will) might be more persuasive? If you are a cruiser what do you like most? Join the discussion and add to this list. I travel with 4 distinct groups, ranging from teens to early 70’s. Some members of each group enjoy more active and adventurous pursuits while others are content to play bingo and watch the antics of the contests by the pool. I find cruising is the MOST relaxing way to go. We can all go on the cruise, we will probably enjoy breakfast together most days, go our separate ways through the day, get together for a drink before getting ready for supper, supper together in the dining room, most of us will do the shows and clubs on board while others may split off for the casino. There is always some quality time on deck in the evening with my special person, family and/or closest friends. You can be as together or separate, yet still really enjoy the same cruise. Food typically very good to excellent. Service again very good to excellent. Shows on the better lines are unbelievably good. As far as overall value goes, I find these my go-to travel option. Thanks so much for your comment! I feel the exact same way…. I had never really thought about taking a cruise before, but you bring up a good case for going on a cruise. I would have never thought of a cruise like a road trip, but I guess it is – except you don’t have a restaurant and entertainment with you in a car. Yes Alouise, and you also don’t have to worry about the driving either! Thanks for your comment! great suggestions, one of these day’s i’ll find a cruise that will just be perfect….too confusing to pick the perfect one! Thanks for putting my words onto paper (or computer) so eloquently 🙂 I feel like you actually went inside my head and asked me why I love to cruise, then wrote this! I honestly could not have said it better. My number 1 reason is the same as well. 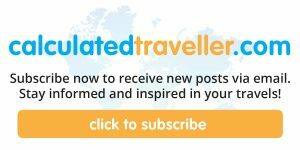 GREAT post–can I share with name credit and direct link to your site on my facebook page for my friends and readers? Feel free to Teresa! Thanks!